The Christian Science Monitor notes that even though women technically cannot serve in combat the lines between that rule and their roles they fill has blurred. Here are a few of the photos the newspaper shares in tribute to the military woman’s role. 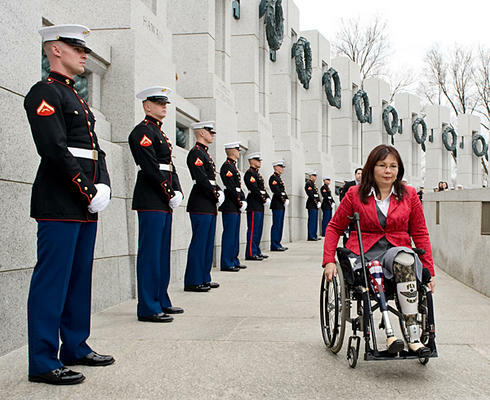 Tammy Duckworth, former assistant secretary of the US Department of Veterans Affairs (l., at the World War II Memorial in Washington, D.C.),lost her legs in combat while piloting a Black Hawk helicopter. “When I’m asked if the country is ready for women in combat, I look down at where my legs used to be and think, ‘Where do you think this happened, a bar fight?’ ” Photo courtesy of the Christian Science Monitor. Though barred from combat, women in military service do have de facto roles. the photographic tribute includes 15 photos of women who have achieved high ranks despite the handicap of not serving in combat – technically. Capt. 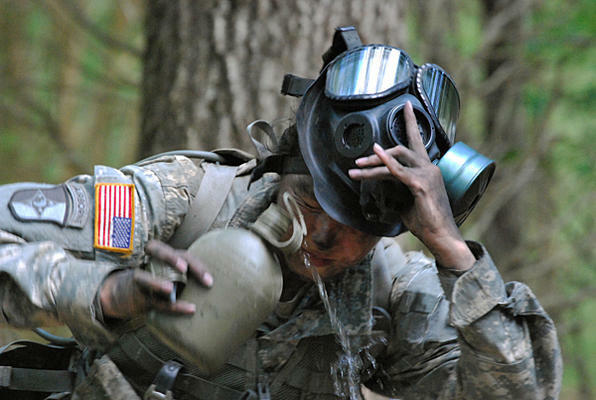 Sara Rodriguez of the Army 101st Airborne Division splashes water on her face during expert field medical badge testing at Fort Campbell, Ky. Women can be “attached” to infantry units but not assigned to them– a policy that puts women in combat but never officially recognizes them. Photo courtesy of Christian Science Monitor. Most military women will tell you that they do not seek special standards just the opportunity to serve and receive the credit for that service. You can see the full slide show HERE. Air Force Maj. Allison Black was known as the ‘Angel of Death’ among Taliban fighters because it was her voice calling in airstrikes in the early days of the war in Afghanistan. “As a woman,” she says, “I would be devastated if any man gave up information to protect me [if captured by the enemy]. I would expect to be whooped up on … just like the guys.” Photo by the U.S. Air Force, courtesy of the Christian Science Monitor. 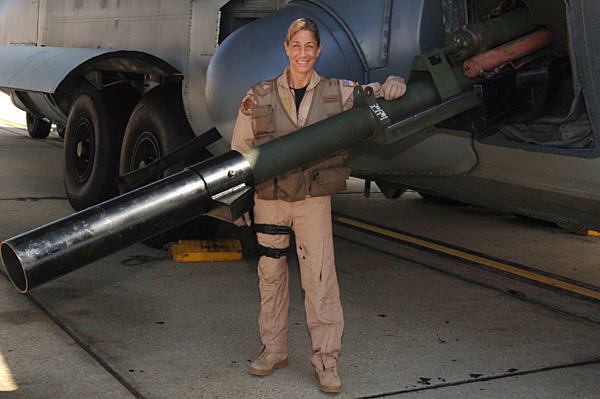 You can read the Christian Science Monitor’s article HERE that looks at women in the military.